Hormones, like insulin and estrogen are chemical messengers which affect various aspect of a person’s health while traveling throughout the bloodstream and around the entire body. Hormone imbalance can lead to many side effects, including: hair thinning and loss, low libido, insomnia, fatigue, depression, weight gain and infertility. Organs and glands, including the pancreas, testicles, ovaries, pituitary glands, adrenals, and thyroid regulate the majority of hormone production and even a slight imbalance can lead to major health issues. The first step to counter the problem would be a hormone balancing diet. Essential Fatty Acids like Omega-3: You will find these in fish like salmon and tuna, olive oil, whole grains, and nuts. These are known for their various health benefits and in addition to balancing your hormones, they can also help your face glow. Fruits with Flavonoids: Eating foods that have high quantities of flavonoids can help balance hormones. Some of these fruits include red berries and grapes as well as citrus fruits. Plant-Based Foods: Plant-based foods, such as soybeans, peas, and lentils are rich in estrogen, helping balance the hormones within your body. Green Leafy Vegetables: These leafy vegetables, including kale, spinach, and Swiss chard, can all help maintain your body’s hormonal balance. Cruciferous Vegetables: These are a good alternative to green leafy vegetables when looking for foods to balance hormones and they include broccoli, cabbage, and cauliflower. Foods with Fiber: A hormone balancing diet should include foods that are rich in fiber as they will balance the hormones and promote your overall health. Try to eat whole grains, fruits, and vegetables. Organic Food: Opting for organic foods will mean that your food doesn’t have any pollutants or chemicals, making them completely safe to eat. This oil contains lauric acid, a substance that helps the skin heal and is extremely beneficial when it comes to hormone production. It will additionally help to kill viruses and harmful bacteria within the body, speed up your metabolism, be easy to digest, and provide you with quick energy. This food is rich in healthy fats so our body is better able to absorb and use nutrients. 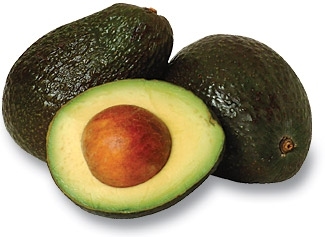 Avocados also contain magnesium, potassium, fiber, folic acid, vitamin E, and B vitamins, all of which work together to maintain hormonal balance. Flaxseed should always be part of a hormone balancing diet as it is the best source of estrogen, an essential hormone for both women and men. In addition, flaxseed has a high fiber content, assisting with digestion and helping you feel full. This fiber content combined with low cholesterol also makes them popular for weight loss. They even contain the omega-3 fatty acids from plants which encourage heart health. 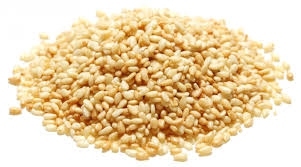 There are phytoestrogens within sesame seeds (and sesame seed oil), making them an ideal addition to your diet when trying to balance your hormones. They also contain a great deal of fiber and other minerals, making them the perfect snack or addition to a meal. They taste delicious when sprinkled on salads. Bran not only contains phytoestrogens to help you maintain your hormonal balance, but it can also help reduce any symptoms associated with having low estrogen level. Bran also contains fiber, which makes them even more helpful for a healthy diet. Raw carrots have a unique fiber which will detox any excess estrogen from your body. Since both men and women who have a hormonal imbalance will usually suffer from estrogen dominance, this is a crucial role in bringing your hormones back under control. The thing to remember, however, is to not use cooked carrots or baby carrots. This tuber is a delicious part of a hormone balancing diet and is part of the radish family. Maca root has been known to boost both hormone production and the accompanying libido. It can also improve fertility, skin quality, and sleep. In addition, maca contains essential fatty acids and minerals, helping with every aspect of health and balancing your hormones naturally. These fats are man-made and typically found in vegetable oils, but our bodies were not made to consume them. Polyunsaturated fats are very unstable, easily oxidizing within the body, after which they lead to cell mutation or inflammation. This can lead to arterial clogs, skin cancer, endometriosis, or PCOS. To stay away from these fats, avoid shortening, margarine, soybean oil, peanut oil, and vegetable oil. Choose healthy oils like coconut oil and olive oil. Hormonal birth control can disrupt your hormonal balance. Using this form of birth control can even lead to disruption of gut bacteria or nutritional deficiencies. There are also steps you can take to balance your hormones specifically after stopping the birth control pill. Server responsed at: 04/19/2019 4:28 a.m.